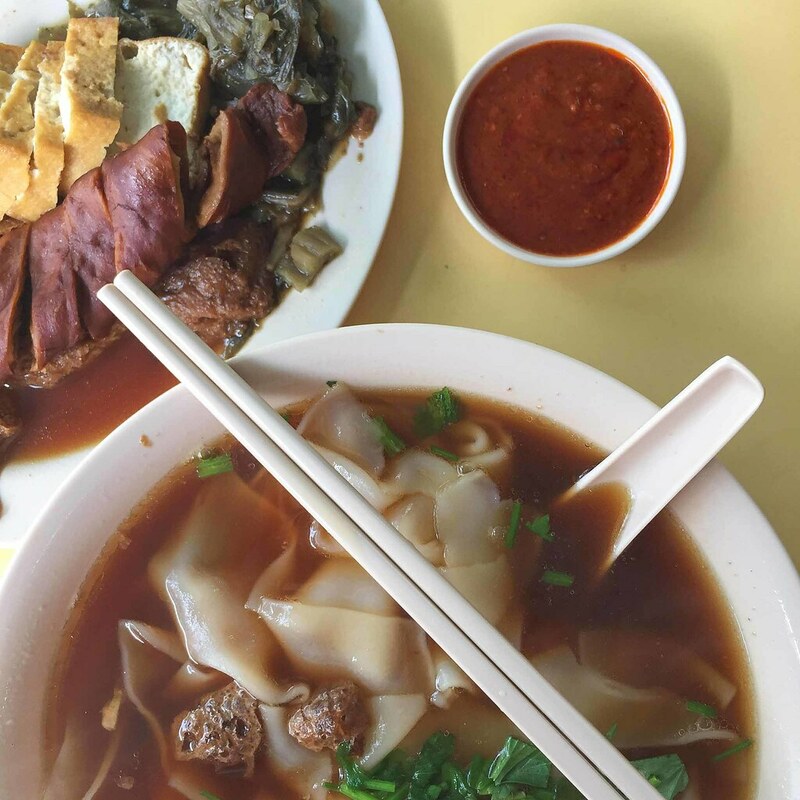 Ang Mo Kio continues to amaze us with its hidden gems of good vegetarian food. Today we are at the other end of Ang Mo Kio visiting Tian Yi Vegetarian. Tian Yi certainly delights us with its signature Kueh Chup. The dish checks all the tick-boxes for a great Kueh Chup. Salty vegetables. Checked. 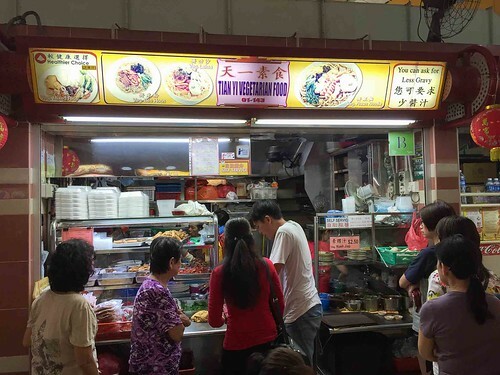 We are always surprised that majority of the vegetarian stalls do not serve salty vegetables with their Kueh Chup. Well cooked mock pig intestines. Checked. We absolutely love its authentic texture. Lastly, the soup has a slight herbal taste which rounds up this wonderful gem. 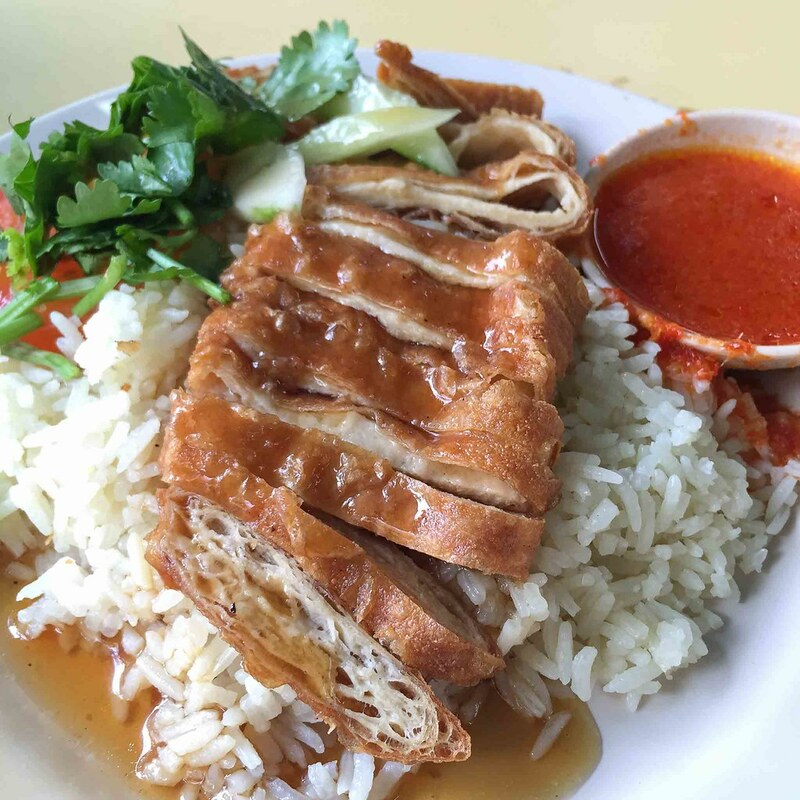 We love the crispy sliced mock chicken, which is deep fried on the outside. However, the gravy has a slight sweet (honey?) taste, which does not go well with the chilli. Also, the rice is not the usual fragrant ginger rice. In the end, we only rate it as slightly above average. We strongly recommend that you make a trip down to Tian Yi just for its Kueh Chup available every Thursday, Saturday and Sunday. We take Bus 265 from Berth B2 in Ang Mo Kio bus interchange to reach Tian Yi. Berth B2 is right at the end of the bus interchange.